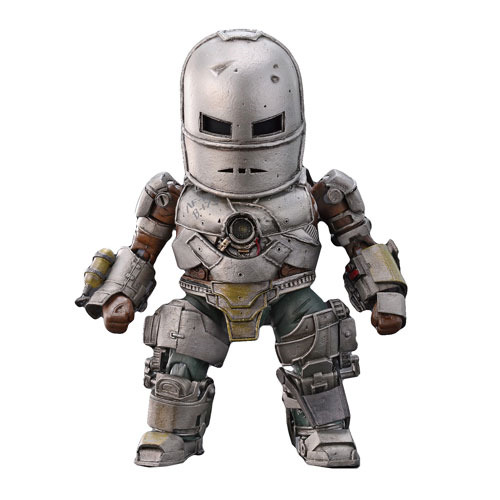 Beast Kingdom Toys is proud to present the next addition to the Egg Attack Action series - Iron Man Mark I! With 22 points of articulation and compound materials built in with hand-painted weathering effect, the details of Tony Stark's work including the multi-layer armor, generator, thigh track belt, and chest arc reactor are perfectly recreated. Each Egg Attack Action Mark I comes with an Egg Attack figurine stand and flamethrower accessory, letting collectors display at their will. Measures approximately 6-inches. Ages 15 and up.